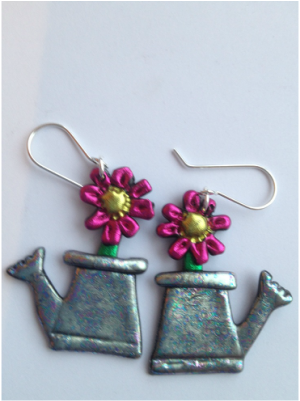 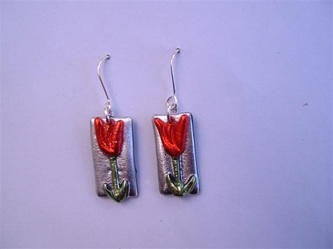 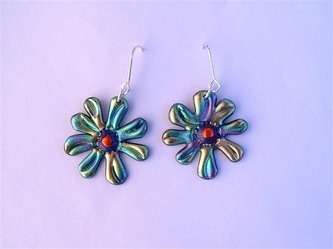 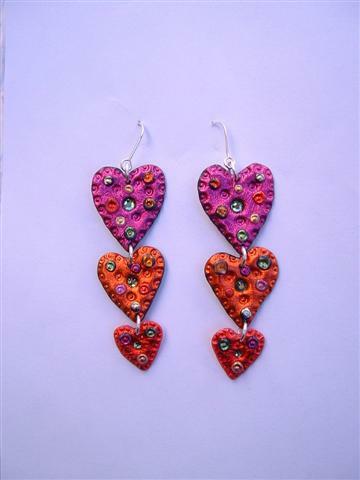 HEARTS AND FLOWERS - Josephine Gordon fabulously fun funky hand made jewellery to make you happy. 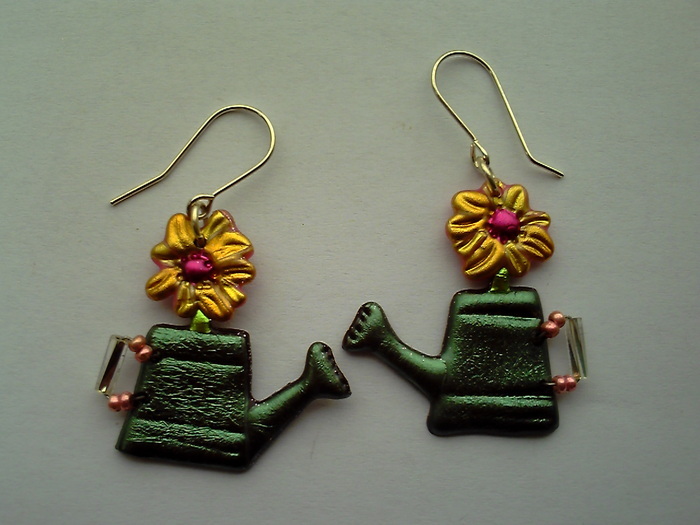 Lots of detail in these pretty minatures of the tree brooch. 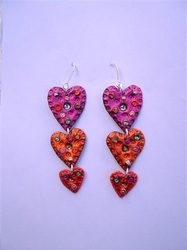 A little dove nestles in the branches,with a heart swinging below. For all those with a bit of 'gay gordon' in them! 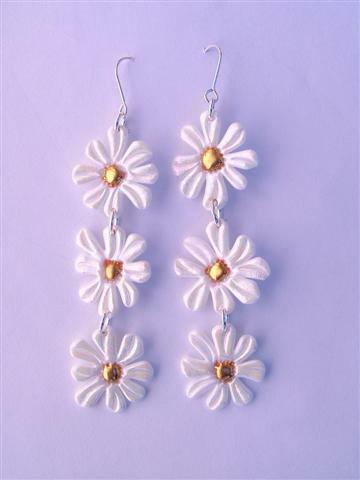 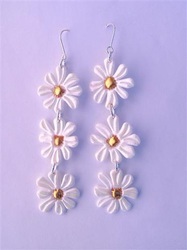 Have as a single daisy -or go really summery and have a chain of three. 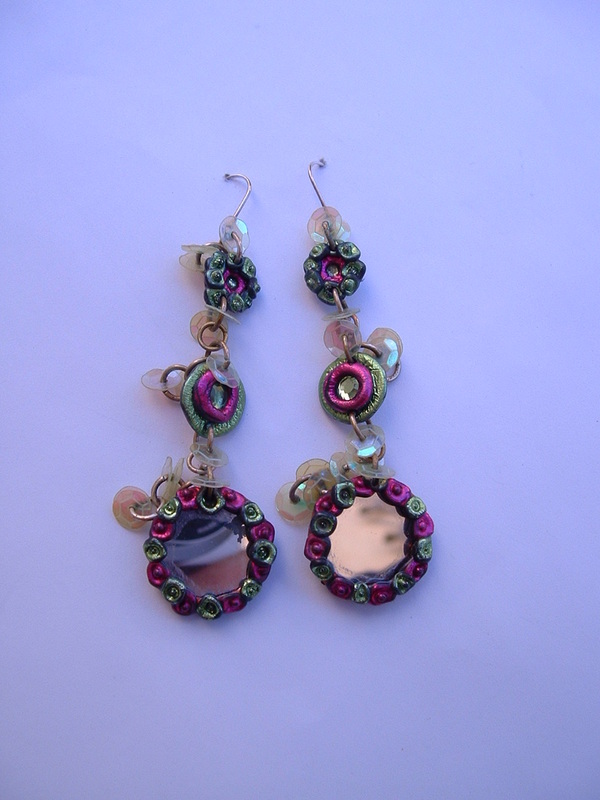 A stunning statement pair , encrusted with little flowers and swarovski crystals. Also available as a single heart. 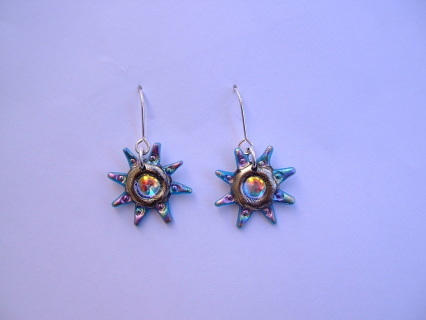 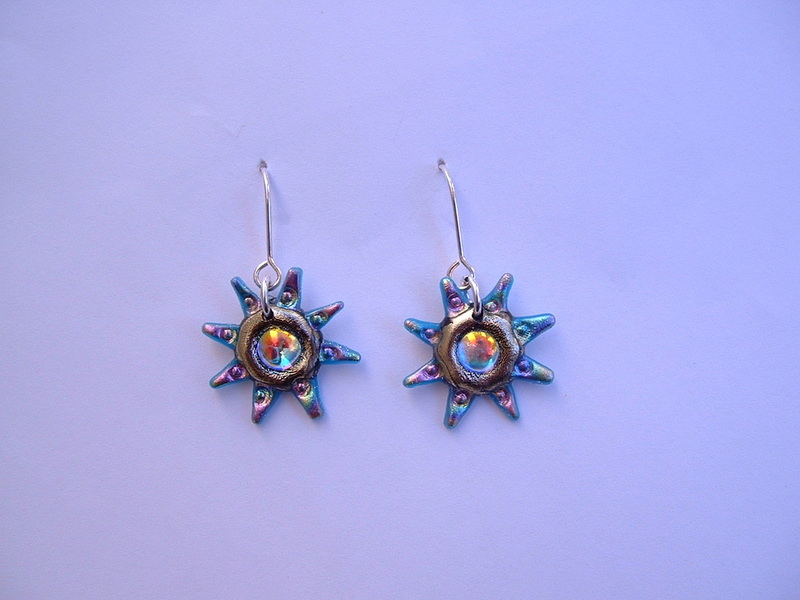 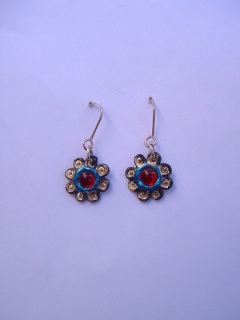 available in all colours and as studs. 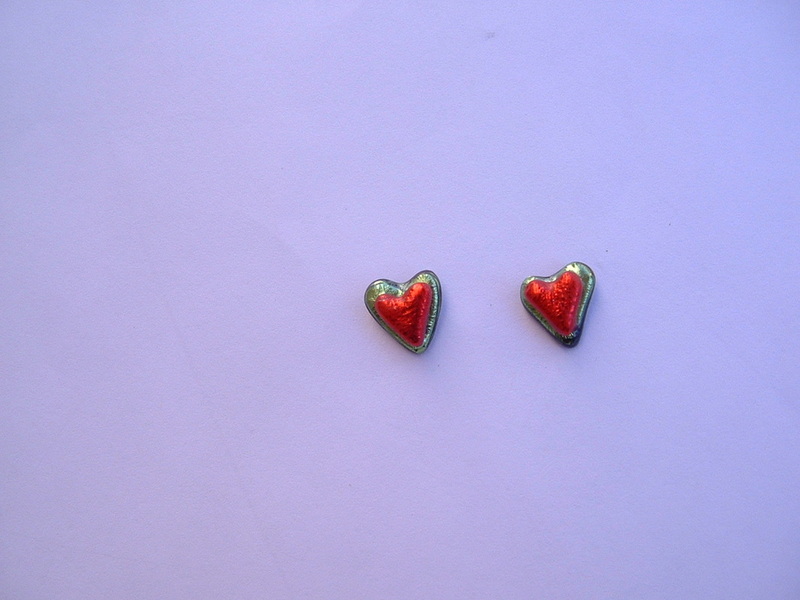 Lovely small heart earrings with little swarovski crystal.